Savoy & DotExe: Get Lazer'd Tour: Chicago House of Blues: We teamed up with Ragetracks.com to bring you a recap of this sick night!  Here is Media Block's official demo reel. It is a compilation of our past work including music videos, live event coverage, short films, and promos. Our possibilities in the video department are endless. We are more than willing to help you out on your next project. Minnesota & Regulators - House of Blues Chicago from Mac Koziarz on Vimeo. We made this video for The Dankles music blog. (thedankles.com) This is a recap video of California based producer "Minnesota" and Chicago based duo "Regulators". It was shot at the House of Blues Chicago on November 11, 2013. My People - GRiZmatik from Mac Koziarz on Vimeo. Media Block's Co-Founder, Mac Kozi, made this video over the summer for GRiZ and Gramatik's collaboration called GRiZmatik. This video was all filmed at Summer Camp Music Festival 2013. Dani Deahl & Animale Interview from Mac Koziarz on Vimeo.